Our Behaviour Sprint combines the best of the Design Sprint with our studio’s Behaviour Kit. We work alongside you, revealing more about your customer’s behaviour, demonstrate how to ideate for people’s behaviour and introducing behavioural science at each step along the way. We will work through the same process and tools that we have used with our clients, including The Estonian Government’s innovation team, Food retailer Co-op and startup incubator ElevatorStartups. 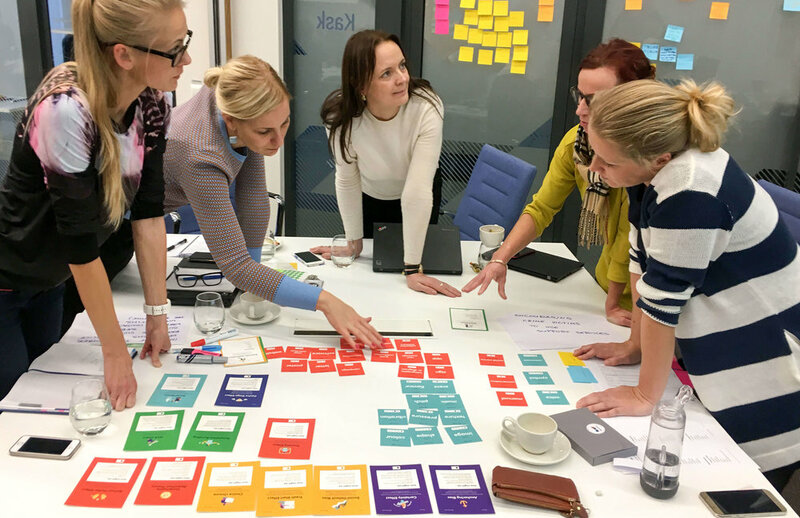 Behaviour Sprints are 5 action packed days of ideation and creation with your team. We also take a week beforehand to set the stage and ensure that we have everything we need to get a solid outcome. We want you to get the most out of the week's problem solving and ideating session. In the week leading up to the Sprint we work with you to find the best challenge, and help you put together the best team of Sprinters. Our one-week Behaviour Sprint works through an existing challenge you already have. Taking you from challenge to basic prototype that focuses on changing people's behaviour.